Milkette (also referred to as Dairy Milker, Creamette or Creamers) are single serving of milk (2%) or cream (10% and 18%) in 12 millilitres (0.42 imp fl oz; 0.41 US fl oz) containers used for coffee and tea. They are a common condiment at coffee shops and on airlines in Canada and the United States. 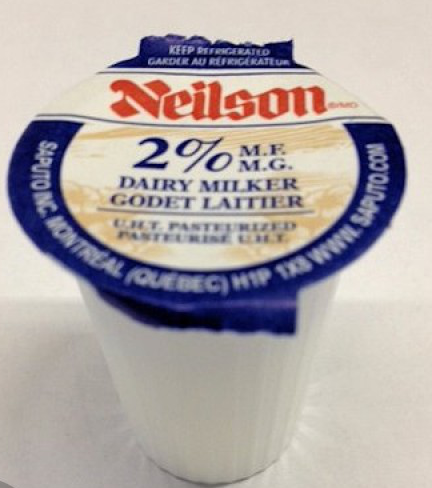 The single cup of milk is stored in a sealed (foil cover) plastic cup of milk or cream with long shelf life. They are sold in bulk amounts (bagged or in paper board box) of 100s. They are usually bought for commercial use, but individual consumers can purchase bulk orders.